Starcraft II developers Blizzard held a little competition over the Halloween weekend to see which of their fans could come up with the best pumpkin carving. To say this guy "won" would be selling his achievement short. 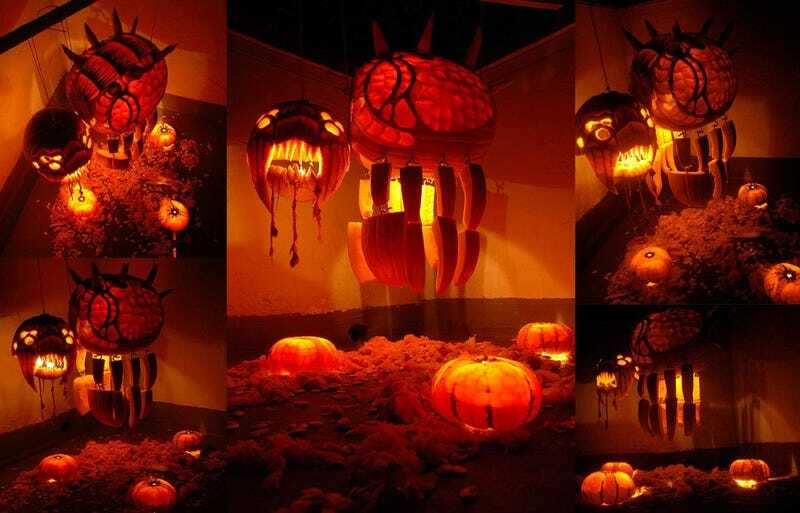 This Zerg Overlord, from San Rafael's Ian Fisher, isn't just a pumpkin. It's several, cut up and carved up so the Zerg's fleshy blimp has a torso, head, dangling limbs and even some Zerg creep splashed out underneath.